For more than a century, the United States has been the world's biggest economy, accounting for over 24% of the world’s gross domestic product (GDP) in 2016, according to figures from the World Bank. 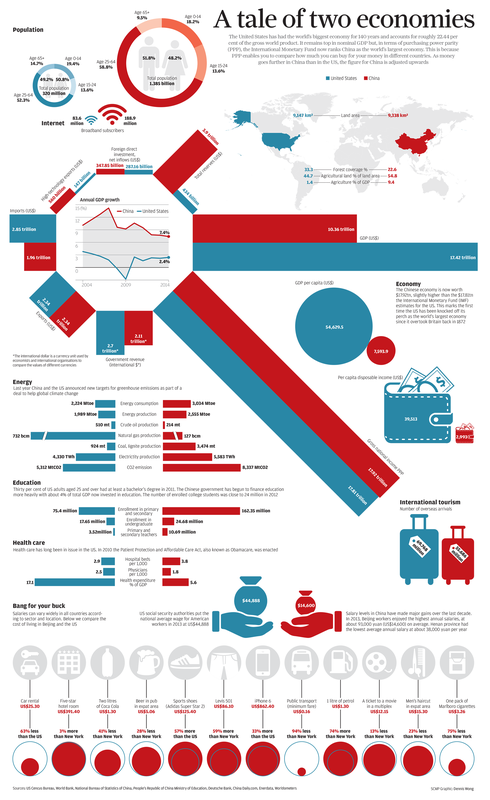 But change is afoot, as this infographic from the Visual Capitalist shows. Both the IMF and the World Bank now rate China as the world’s largest economy based on Purchasing Power Parity (PPP), a measure that adjusts countries’ GDPs for differences in prices. In simple terms, this means that because your money stretches further in China than it would in the US, China’s GDP is adjusted upwards. And it won’t be too long before China’s economy surpasses the US’s by other measures, too. The Centre for Economics and Business Research (Cebr) predicts it will happen in 2029. To a certain extent this is not surprising: China’s population of 1.4 billion is around four times higher than that of the US at 320 million. Despite the recent slowdown, China’s economy is still growing at almost three times the rate of the US – around 7% over the last couple of years, compared to less than 2.5%. The two nations are on an even keel when it comes to exports. However, the US has a trade deficit – it imports more than it exports – while China imports significantly less than it exports, resulting in a trade surplus. But there is still a lot of catching up to do: China lags in terms of foreign direct investment flowing into the country. Its high-tech exports amount to nearly four times less than those of the US. Closing this gap may just be a matter of time though, not least because China is committed to education, with around 4% of total GDP now being invested in training its people. 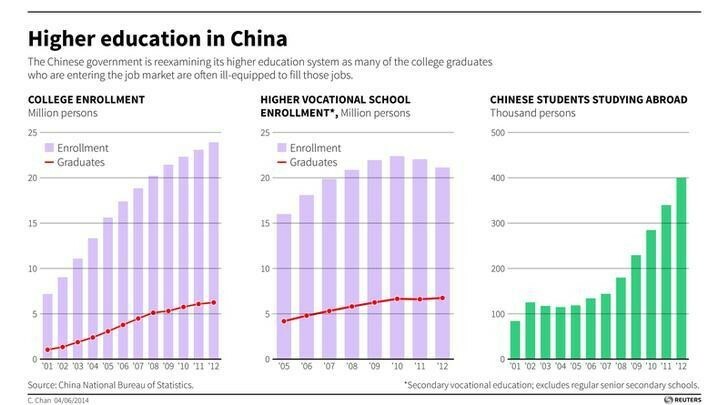 China’s education system is the largest in the world. It has more university students than the EU and the US combined, and there is growing demand for higher education among its young people. China’s energy usage is significantly higher than the US, which is understandable given the difference in geographic and population size. 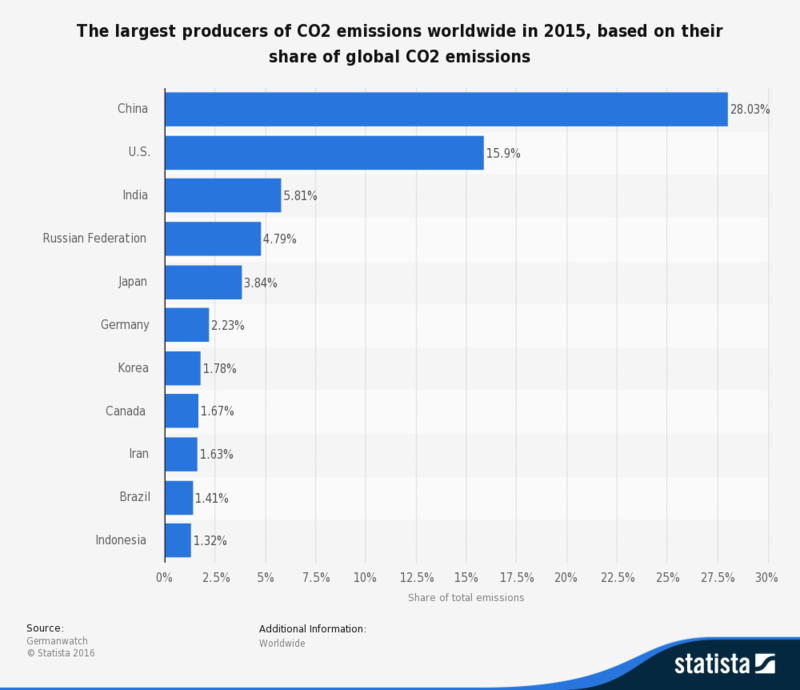 As the chart below shows, not surprisingly, CO2 emissions were almost twice those of the US in 2015. The country’s comparatively high reliance on coal in its energy mix is a major contributor to this. However, as The Guardian reported recently, while China’s rise has been powered by “cheap, dirty” coal, it has been gradually reducing its dependence on fossil fuels. 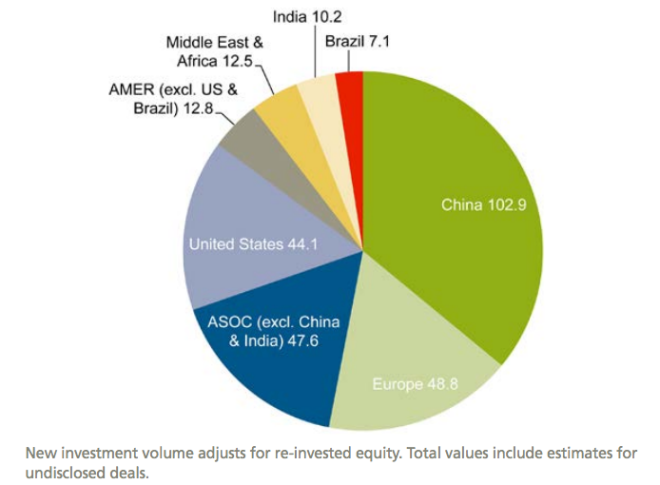 According to a 2016 UN report, the country is now the biggest investor in renewable energy globally, spending more than the US and Europe combined. 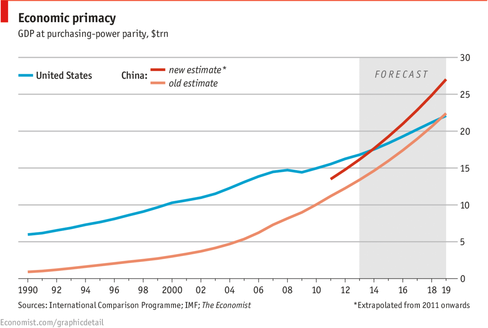 China is well on its way to becoming the world’s leading economy, and is already there in PPP terms. However, in order to surpass the US’s highly diversified, tertiary economy, there’s more to do: China still needs to make the all-important transition from a resource-intensive manufacturing hub to a modern, consumer-driven economy.